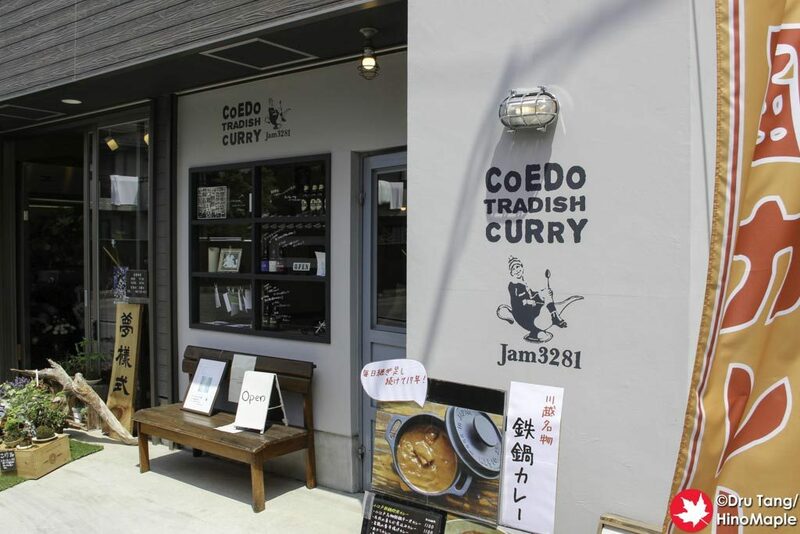 Coedo Tradish Curry, rather Jam3281 is a small little curry shop in Kawagoe in the Warehouse District. It is actually a branch of Jam3281, so they technically call it Jam3281. I’m not sure why they don’t us their original name as the main name on the signs as everywhere else on the internet uses Jam3281. Getting to Jam3281 is a little difficult at first. The streets in Kawagoe, in the Warehouse District, are small and it is easy to pass these streets as they look more alike side streets. If you are on the main central street of the Warehouse District, turn right towards the bell tower and then turn left at the first street after the bell tower; it will be on your right. Alternatively, if you go to the end of the Warehouse District, turn right and then right at the first street. When I entered Jam3281, I was a little surprised by how small it was. I was expecting their main shop’s size, but the Kawagoe shop was small. 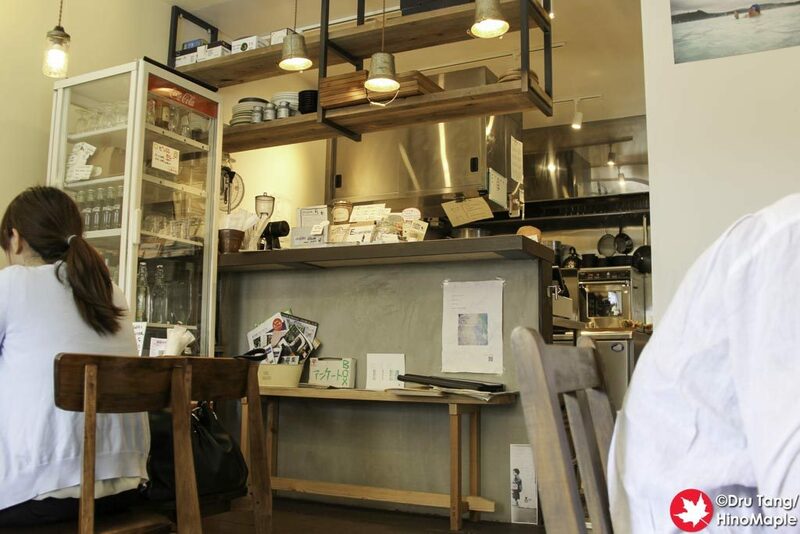 It was a quaint little place with a nice counter. The selection of curries was nice but I don’t think they have an English menu. It could be difficult to choose if you don’t speak any Japanese or you can’t read any. I was good enough that I found the Coedo Cheese Curry and decided to go for that. For lunch, they generally have a set lunch. You get a small salad with the curry. I’m not sure if this is normal for dinner as well. Surprisingly, I didn’t get a beer but you can also get a nice beer with your curry. You also have a choice of how hot you want it. You can choose “Karasawa Amakuchi (辛さは甘口)”, “Chu-kara (中辛)”, and “Karakuchi (辛口)”. These are translated simply as: not spicy, average, and spicy. I usually get Karakuchi wherever I go and while it usually isn’t very spicy, this one had a good level of spice. 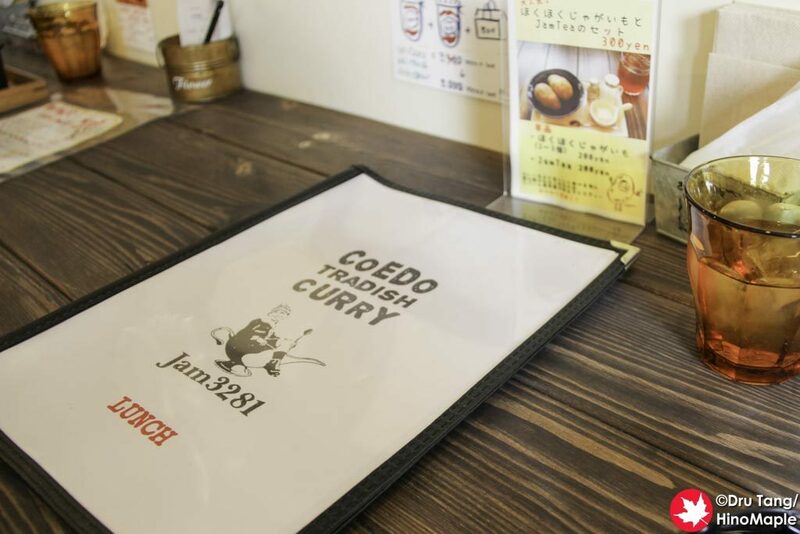 Jam3281 is a good place to go and I do recommend going for curry. If you are alone in the area, it is probably the easiest place to get food. Most places in Kawagoe are busy and since this is off the main strip it isn’t busy. If you are looking for traditional Japanese food, you are out of luck but I would have no problems visiting this place again in the future. 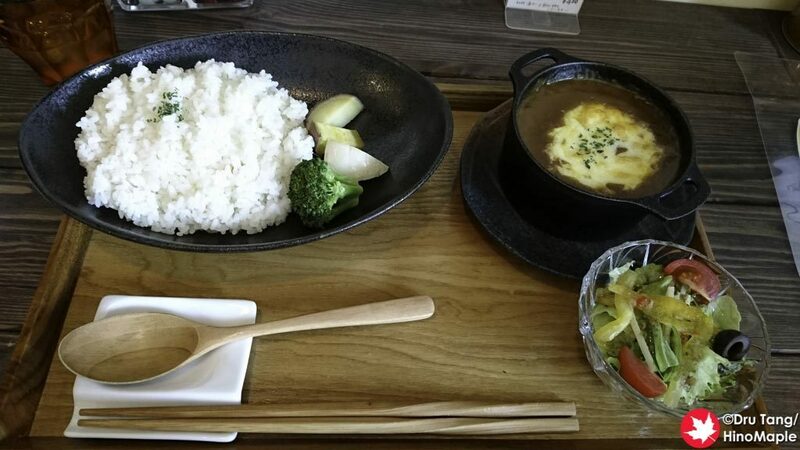 This entry was posted in Kanto Food and tagged Coedo Tradish Curry, Coedo Tradish Curry Jam3281, curry, Jam3281, japan, Kawagoe, Saitama by Dru. Bookmark the permalink.